← Little House On The… Prairie? In the season of all things pumpkin, I’ve been on a roll. I often print out lots of recipes and pull from them later on what I might fix. Unfortunately, I’m also known to print out things that I assume are paleo, and they are not. I’m getting better at understanding which flours work for substitutes and how to work my way around even a regular recipe to make it work for Paleo. 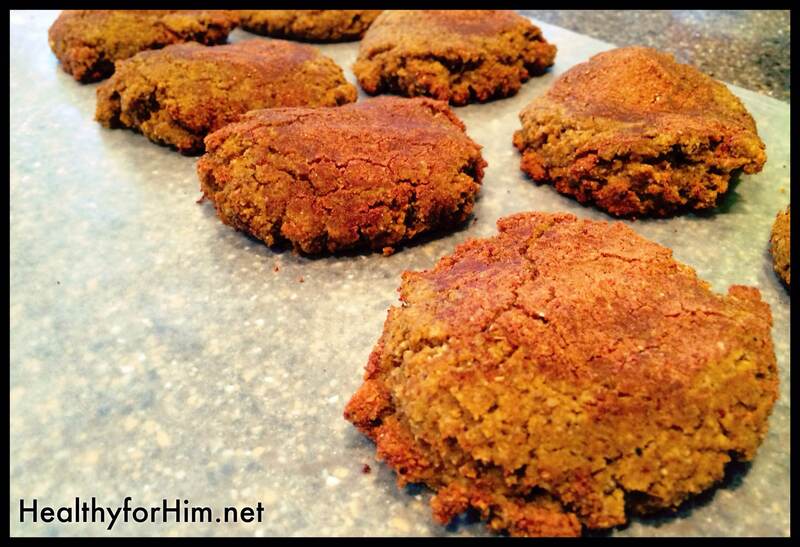 So when the Pumpkin Snickerdoodle recipe graced my pile, I knew it had to be transformed “Paleo”. My kids and husband said these were like pumpkin cake, so I’d say that is a success! Preheat oven to 350 degrees. Combine ingredients for cookies, and coating – separately. Take small amount of dough with cookie scoop, and drop it into the coating bowl. Roll in bowl to coat and drop on lined cookie sheet. 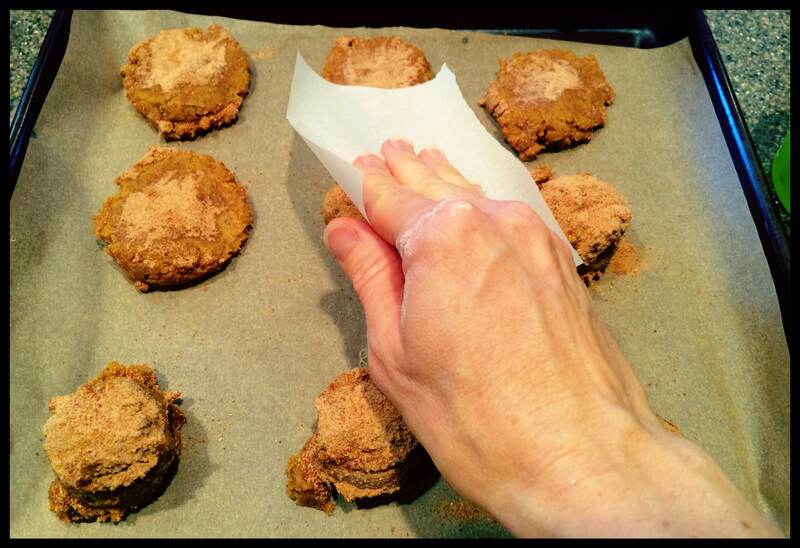 Flatten all cookies with a small square of parchment paper before baking. Bake for 10 minutes until golden brown, and cool before eating. I thought I’d share something positive with you today, but I’m feeling really horrible. I’m pretty sure it’s some pastured pork that I tried again – yep, I’m pretty positive it’s grain finished. It’s days like these, that I just hurt all over, I can’t barely bend my fingers to hold something and my head throbs… that I think – UGH, Lord, really?? Praying to enjoy this moment and being grateful for the struggle! My go-to verse for my less than ideal days, when there is no time for pity-parties? 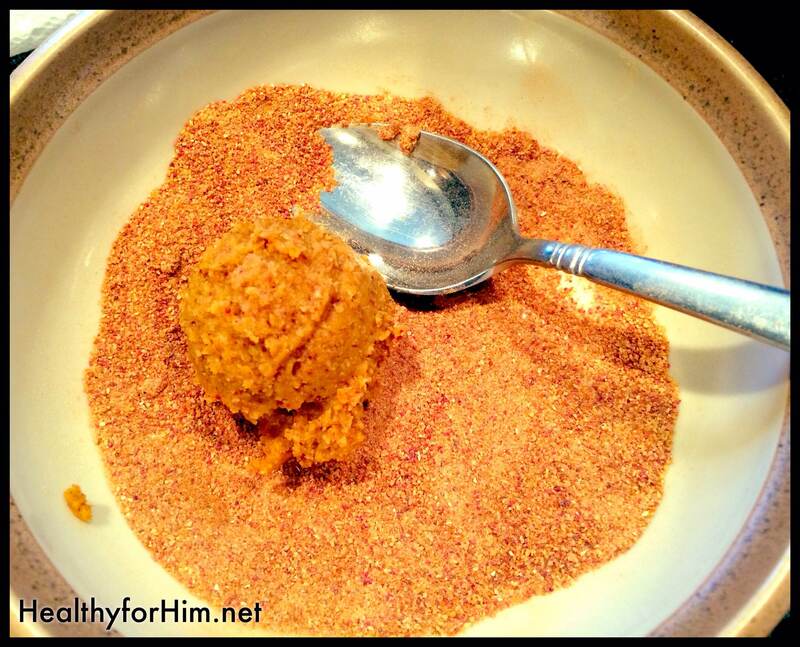 Posted on October 24, 2013, in Auto Immune Disease, Celiac/Gluten Sensitivity, Food To Try, Our Struggles and tagged auto immune disease, celiac, gluten intolerance, healthy for him blog, large family Paleo, MS, paleo pumpkin snickerdoodle cookies. Bookmark the permalink. Leave a comment.